CRM stands for customer relationship management therefore it should obviously focus on how you approach your customers and work to get closer to them. This will benefit both the business and the customer as there will be a sense of familiarity that will elevate to a state of you knowing what to provide and what the customer wants while the customer forms a strengthened trust towards the brand. There are numerous CRM features and solutions and features, but some might argue that some are better than others and that the best ones are capable of providing more utility to the company that employs them. That being said, if you are looking for CRM solutions in general or just another perspective on the concept, you came to the right place. Here, you will get to know the CRM solutions that many consider “must have” so that you can add them to your collection. This is one of the most important CRM tools that you can have in your arsenal. Its purpose aligns with the very core of CRM as a concept in the sense that it provides invaluable information about your customers. This feature accommodates the very important necessity of always tracking leads and customers throughout their entire process alongside your company. There are many things that can and should be implemented in this regard such as colander reminders and follow-ups as well as an extremely rich databank for each customer. There is a strong emphasis on mobility when it comes to customer relations thus a present and frequent topic in CRM. To properly access and use all data pertaining to customers, it has to be available universally and not just from the office. 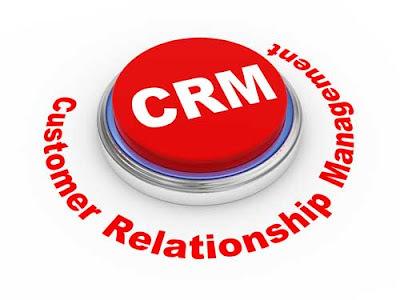 Many companies are taking their CRM solutions towards a cloud based operation. This way, all you need is an internet connection in order to be able to access whatever data you require on the spot, even if you’re “on the field”. There is a big difference between housing large amounts of information and housing something you can use. Just because you have all that data doesn’t mean that it’s going to be easy or even possible in some cases to act on it and put it to good use. This is where your CRM should come in by providing analytic solutions which clearly showcase the conclusions and potentials of all that information, and how it can be used. CRM solutions need to be minimalist in both their approach and their design. What this means is that they should not over complicate things and present complicated processes that need to be learnt. This will not appeal to your employees and if they are not able to use it or understand it, it’s basically as if it’s not there at all. That is why simplicity is key.